New Mexico’s 2018 election season is off to a fast start when it comes to campaign cash. Candidates reported raising $1.8 million in reports filed Monday, with nearly half that raised by Democratic gubernatorial candidate U.S. Rep. Michelle Lujan Grisham. The reports shed light on possible upcoming 2018 races. They also show funds raised for school board elections that concluded in February. 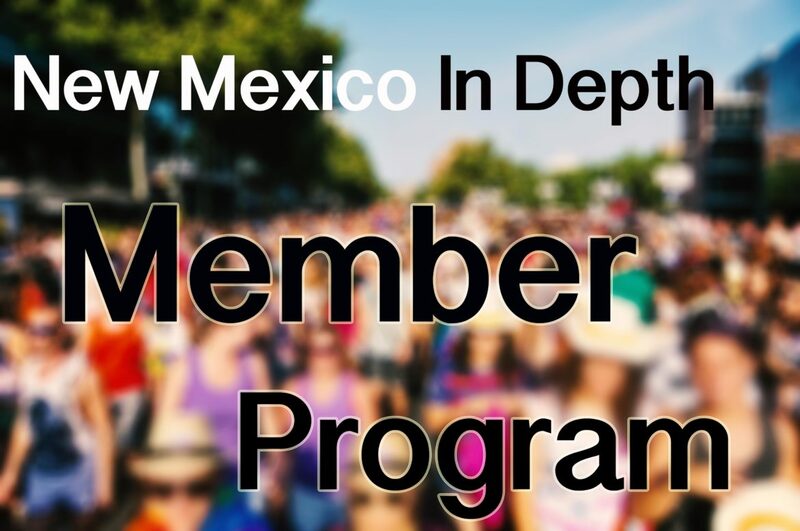 You can search the data at New Mexico In Depth’s Openness Project. Lujan Grisham reported raising $897,395 through April 3. More than half came from 4,650 contributions funneled through the online fundraising organization ActBlue, ranging from $1 to 124 donations of $1,000 or more. She reported spending nearly $152,000, with more than $741,000 remaining. Her large donors include all six of the Democrats in the 2014 list of top 10 New Mexico donors, indicating a strong base of support. Four of those donors didn’t back a Democratic candidate in the 2014 governor’s race. In 2014, GOP Gov. Susana Martinez spent $8.7 million to win reelection, compared with $2 million spent by Democratic nominee Gary King. Four other Democratic candidates spent nearly $2 million in the primary contest that year. Only one other candidate filed a gubernatorial campaign finance report, Democrat Peter DeBenedittis, who is running a Go Fund Me page to raise money, and reported taking in $2,307. But other gubernatorial candidates will likely emerge. And other statewide candidates raised plenty of money in recent months. Democratic Attorney General Hector Balderas is rumored to be a possibility. He raised nearly $212,000 since Oct. 4, and has nearly $683,000 in the bank. He could use that money to run for re-election or he could challenge Lujan Grisham in the primary. Republican Lt. Gov. John Sanchez is another gubernatorial possibility. He raised more than $15,000 and has nearly $232,000 in cash. He paid Albuquerque City Council candidate Jose Orozco more than $9,800 for consulting and expenses, and also made an $850 donation to Orozco’s campaign. Democratic state Sen. Joseph Cervantes, of Las Cruces, is reported to be considering a run for governor. He loaned his campaign $291,000. And GOP Land Commissioner Aubrey Dunn raised more than $154,000, and has $150,000 in the bank. Like Balderas, he could run for re-election or throw his hat into the race for governor. 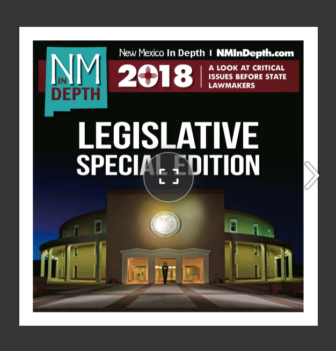 Others reported to be pondering the governor’s race include U.S. Rep. Steve Pearce or even current Albuquerque Mayor Richard Berry. But neither have declared their candidacy. The next 2017 candidate filing date is in October. Jane Levy was appointed to a 2nd Judicial District judgeship by Martinez late last year. The Democrat is getting an early start on 2018, loaning her campaign $65,000. Bernalillo County Sheriff Manuel Gonzalez also raised plenty of money for his expected re-election bid. School board candidates, most of them from Albuquerque, reported raising nearly $227,000. Most of those contests took place on Feb. 6. Here’s a look at the top 15 fundraisers in the reports filed Monday. State auditor Tim Keller reported receiving nearly $23,000, although he is currently running for Albuquerque mayor in October. He reported paying consulting firm Full Arsenal nearly $19,000 through December. He launched his mayoral campaign in January, and he can’t use his state account for that race. Should Keller win his race for Mayor this year, the state auditor race would be an open seat in 2018. Speaking of the Albuquerque Mayor’s race, none of the state-level candidates and office-holders reported donations to Keller’s mayoral campaign from their campaign accounts. Keller is using Albuquerque’s public financing system rather than raising private funds for his run. But Balderas reported making two contributions totaling $5,150 to Albuquerque mayoral candidate Brian Colon. And five current or former Republican lawmakers donated to Dan Lewis’ Albuquerque mayoral campaign, but the contributions were returned. Political action committees – not including ActBlue, which passes money along to candidates, or state political parties – reported raising $831,000 and spending nearly $864,000. While some of the spending appears to have been on 2016 elections, other money went to consultants paid for continuing work. Of that spending, more than $119,000 went to McCleskey Media Strategies, the firm owned by Martinez’s top political adviser, Jay McCleskey. The firm received more than $71,000 from Susana PAC, a traditional political action committee operated on behalf of the governor. And it received more than $48,000 from Advance New Mexico Now, a super PAC that accepts unlimited donations for independent spending in campaigns. Democratic candidates and PACs spread the work around. Lujan Grisham paid Anne Lewis Strategies, a Washington, D.C., firm, nearly $32,000. Keller and his PAC, Hope for New Mexico, paid Full Arsenal. Several Albuquerque school board candidates and other Democratic candidates and PACs hired Rio Strategies and Holguin Consulting. House Speaker Brian Egolf and several Democratic PACs hired ALLS LLC. Employees of companies that do business with the city, and a few of those companies themselves, donated more than $74,000 to Albuquerque mayoral candidates through the end of March, an analysis by New Mexico In Depth found. That’s more than twice the amount the city found in an official report submitted last week, which was required within 48 hours of the latest campaign finance deadline.